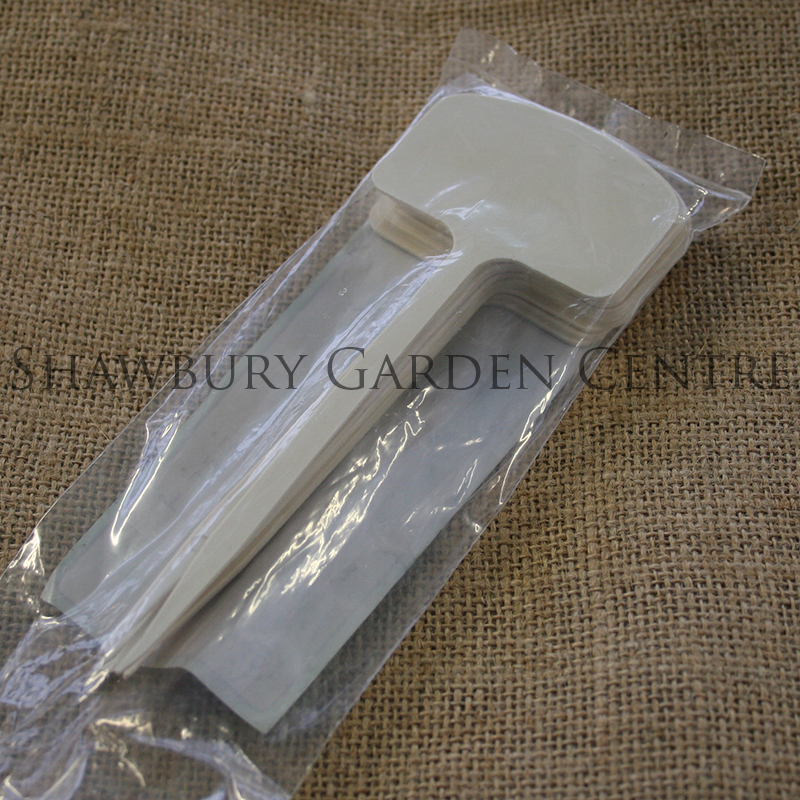 White plastic 'T' shape plant labels with a large name plate area. Ideal for use in pots and borders. Long lasting and reusable. Pack of 10 Labels. In situations where you need to note more information about your plants, these T Labels are the ideal solution. If you would like further information about Tenax Plastic 'T' Plant Labels, please contact our garden centre at Shawbury just outside Shrewsbury in Shropshire, by calling 01939 251315 or emailing.